Nha Trang is Vietnam’s most popular beachfront city and one of its most urbanized, with a wealth of sights and activities, a roaring nightlife and a variety of restaurants serving up local seafood. Along the main coastline runs Tran Phu street, where Novotel Nha Trang is centrally located. 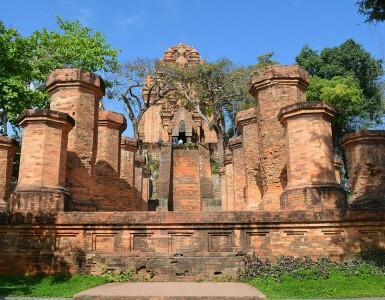 Along Tran Phu you will find night venues, attractions and convenience stores, along with restaurants and cafes. Highlights include the nearby Sailing Club, which plays eclectic hits in a laid-back, open-air beachfront setting, and the colorful Lotus Building. Explore the vibrant reef with an island scuba diving session or visit the local hot springs center for a therapeutic mud bath session. A selection of pagodas and museums are also worthwhile destinations. Nearby islands offer a range of activities and are easily accessible by boat. Activity tours can be arranged at our lobby tourist booth.